...to your online guide for research in Anthropology! ** And if you're new to writing college level research papers, take a look at our Research Help DIY Guide. Everything you wanted to know about research but were afraid to ask! Jesse Lyman Hurlbutt. Christian Girl of Nazareth. 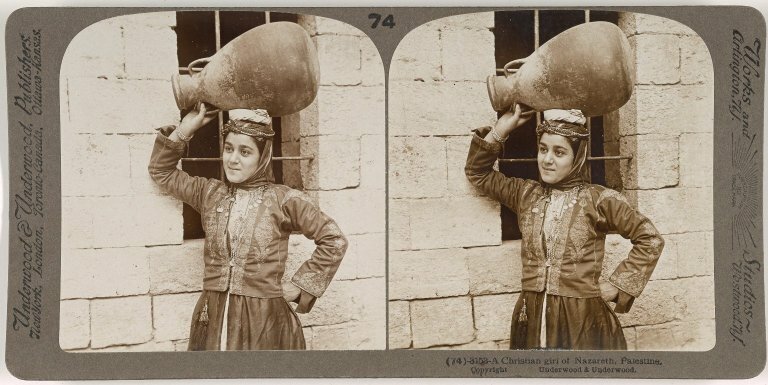 Stereograph, ca. 1900. Luna Insight Collection.